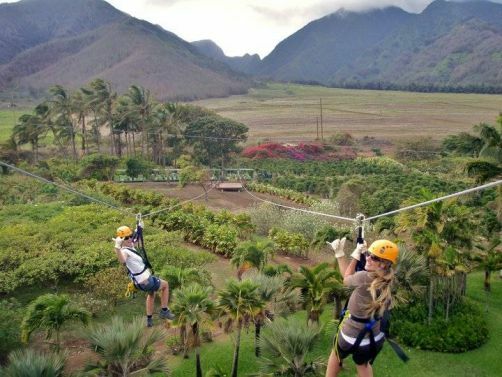 At Maui Zipline, children as young a 5 years old can enjoy this thrilling tour soaring over a beautiful tropical plantation. This is a perfect family adventure! 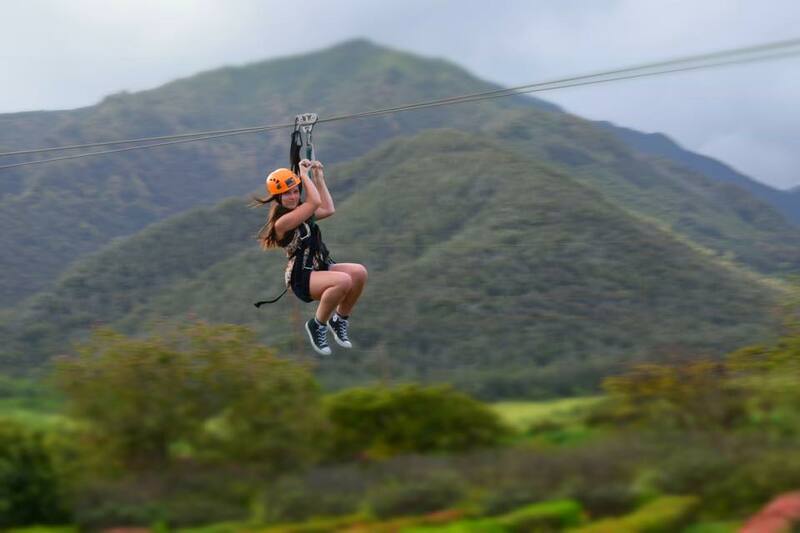 Maui Zipline’s 5 line, side-by-side zipline ranges from 300 to 900 feet. 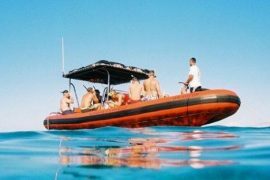 It is fun for the whole family and just may be the highlight of your vacation to Maui, Hawaii! 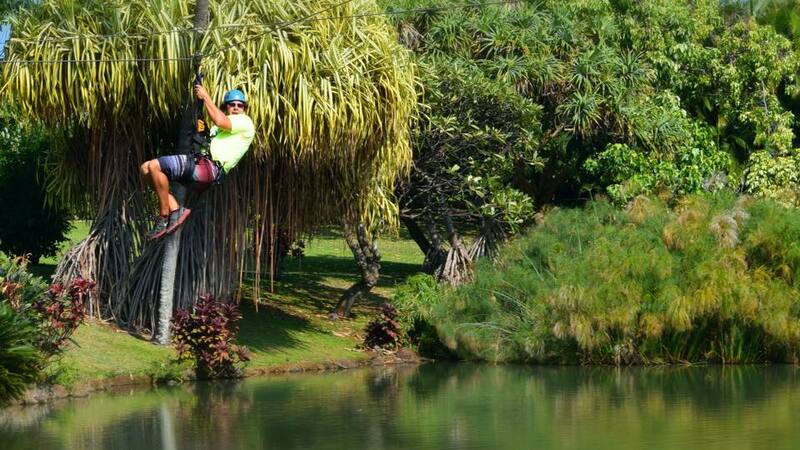 Zip over the lush landscape at the Tropical Plantation with it’s swaying Palm Trees. Take in the majestic views of Maalaea Bay and the West Maui Mountain Valleys. 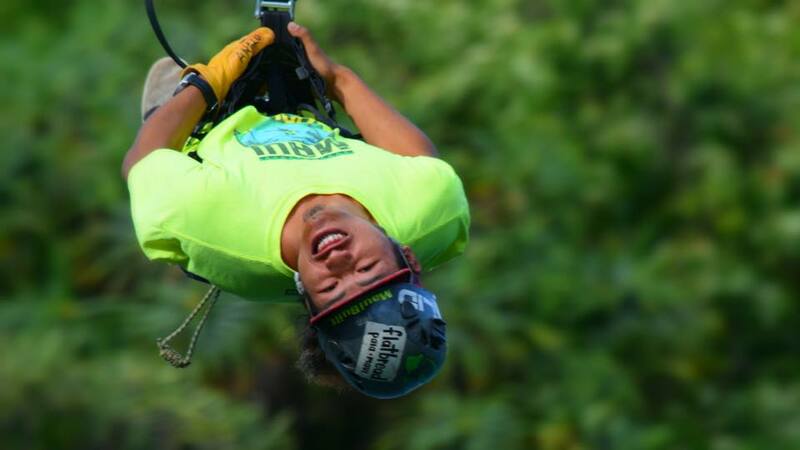 On this side by side zipline you will find the thrill you were looking for. 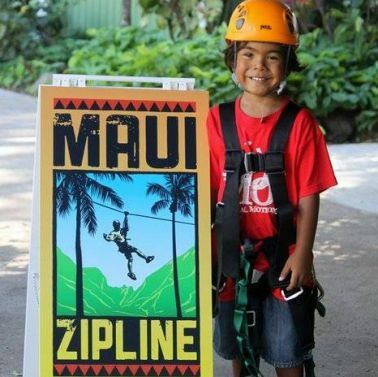 Maui Zipline is well known for its family-friendly attitude. You can zip side by side with your children. A family member can also walk the course for free with your group. Your Maui Zipline adventure will begin with a brief scenic walk on a well-maintained trail where you can enjoy the beautiful landscape. After ascending the first observation deck that overlooks the tropical gardens you can enjoy a bird’s eye view of the spectacular Haleakala volcano, the picturesque West Maui Mountains, and the rugged coastlines. On each line, our trained guides will narrate your adventure with information on Maui’s unique flora, fauna and culture. Your exotic adventure will end at our tree house after an exciting flight over a tropical lagoon. You must be at least 5 years old and weight between 45 and 250 pounds. 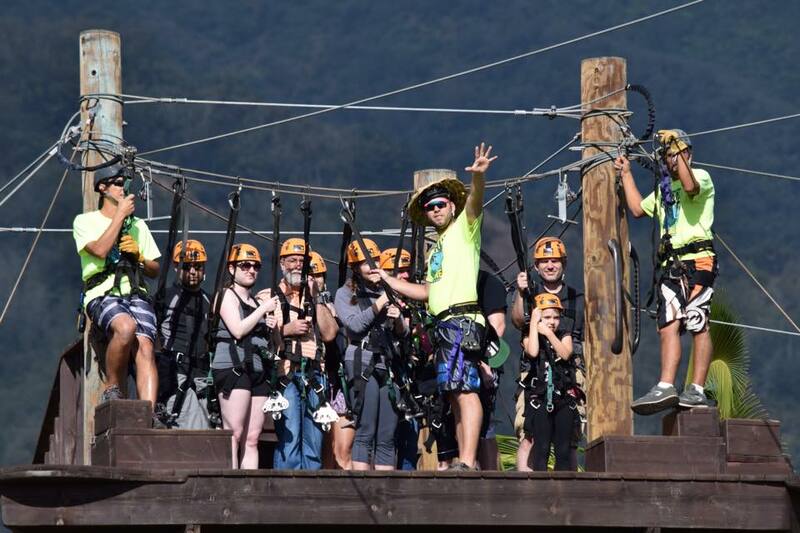 Participants under age 10 are required to have an adult zipping with them, and ages 11-18 are welcome to zip without an adult companion, as long as a responsible adult remains on the property for the duration of the tour.